With the holidays a distant memory and thoughts of spring just around the corner (don’t want to jinx it but maybe it’s already here?) – my mailbox is full of catalogs showing the latest in furniture and accessories for the new year. One theme I’m loving is the abundance of menswear-like pieces for home. 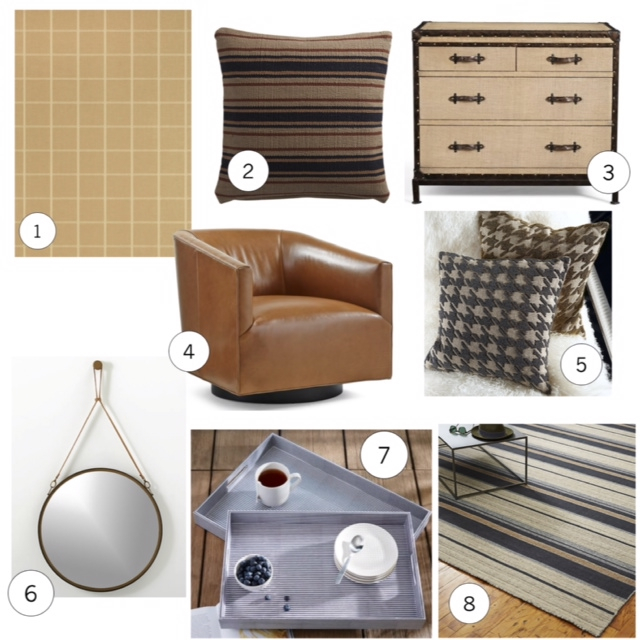 Masculine stripes on rugs and pillows, classic “gentleman” patterns like houndstooth, and strong furniture silhouettes like the trunk are making an appearance this year. What I like about this trend is that it’s NOT a trend – the clean, timeless and tailored look of menswear has stood the test of time. Pinstripes, flannel, & leather are not just for clothes, they look great on home pieces as well and evoke a feeling of comfort and familiarity. This classic look is especially suited (no pun intended!) for New England architecture. Check out some of these menswear inspired pieces I’m loving right now!